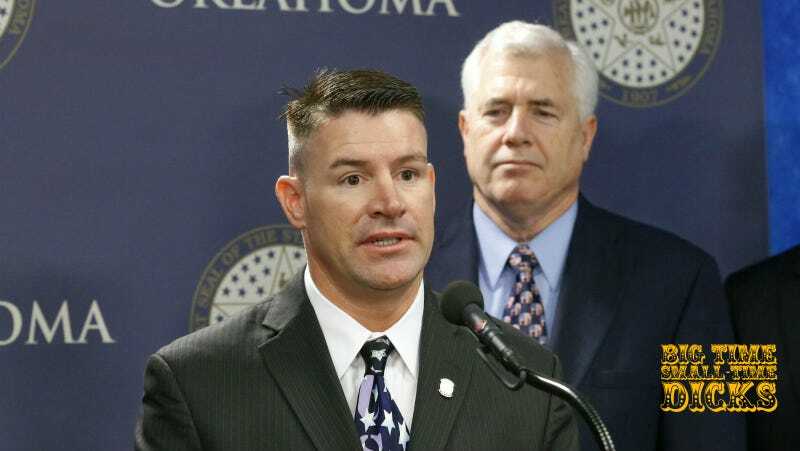 An Oklahoma state legislator says he was merely making a funny joke when he said Hillary Clinton should be executed by firing squad. When he got a call from a reporter, though, Rep. John Bennett accused Clinton of “treason” and insisted, again, that people should die for that. Bennett previously wrote a Facebook post urging people to be “especially wary” of Muslim-Americans. Bennett told the news station KFOR the same thing: that of course he wasn’t calling for Clinton to die, but also shouldn’t people die for things like what he says she did? “I am not advocating to shoot, hurt or kill Hillary Clinton or anyone else. That is not what I meant by that. I was using the firing squad words to refer to what the punishment is for treason. Hillary Clinton has committed nothing less than treason by knowingly leaving our American troops over there to die,” he said. Bennett’s Facebook is a stew of conservative memes, conspiracy theories, and half-truths. The last time it got him in trouble was 2014, when he claimed that Muslim-Americans are out to kill Christians (“The Quran clearly states that non Muslims should be killed. Arab is the ethnicity, not Muslim or Islam. Be wary of the individuals who claim to be ‘Muslim American.’ Be especially wary if you are Christian.”) The Council on American-Islamic Relations asked for an apology from Bennett, which they did not receive.